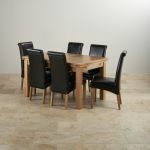 The beautifully crafted Dorset Extending Dining table hand crafted entirely from A-grade oak. When fully extended this dining table can seat up to 8 people in perfect comfort. 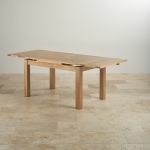 Designed with practicality in mind it features an extending leaf at each end that simply pulls out and slots into place. 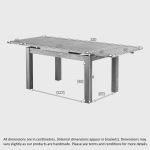 Once the extensions are no longer required, they simply retract, and store neatly within the table frame. No need to keep them elsewhere. 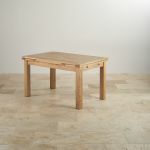 The oak is finished with refined Furniture Wax to nourish the wood and bring out the eye-catching grain patterns. 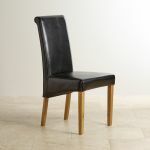 The dining chairs have hand crafted oak frames upholstered with black real leather. The scroll back design is supremely comfortable. 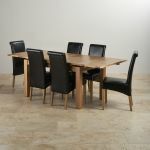 The oak legs will compliment all our oak dining room furniture. 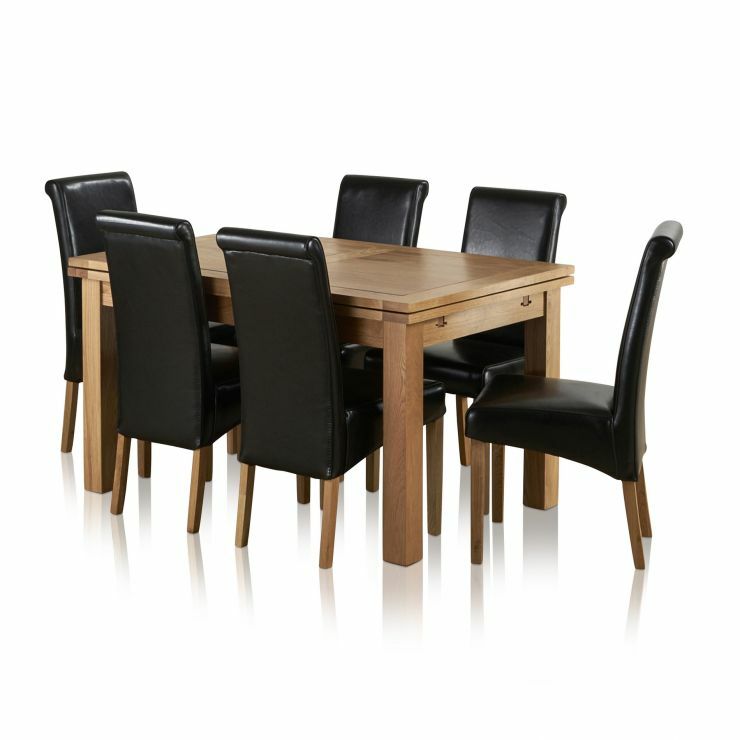 In order to maintain the magnificent look that only Oak can give, simply treat with Furniture Wax 3-4 times a year. 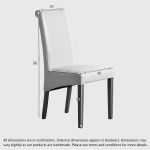 For ease of shipping, the dining table legs are supplied as a second package and require simple home assembly to the table frame.